Senior citizens get a 25% discount each and children get a 50% discount per child (6 to 11 years old). An early bird promotion of dine 6 pay 5 applies for full paying adults only and this offer is valid with full payment before 25 January 2019. The program for the coming Reunion Dinner includes a mask changing show, warrior drums, and clown appearance for the kids. Our hotel’s Lion Dance Performance will be held at the lobby area on 11 February 2019 (Monday) at 9.30am. You could also purchase their various concoction of Yee Sang as takeaways from 22 January 2019 until 19 February 2019. Thank you to the management of Eastin Hotel Penang for the preview. I would like to take this opportunity to wish everyone a Happy & Prosperous Chinese New Year! Swez Brasserie @ Eastin Hotel, Penang would be serving their lavish spreads this coming Christmas Eve 2016 and you would get to enjoy the joyous occasion with your loved ones or friends over a wide spread of freshly pepped up mouth-watering dishes. The buffet dinner will be served from 6.30pm to 10.00pm on 24 December 2016, priced at RM178nett. Early Birds for first 80 persons get to enjoy 25% offer for full payment made before 15 December 2016. There would be 20% offer for Senior Citizen aged above 60 years old and children below 5 years old get to enjoy the buffet at no cost. 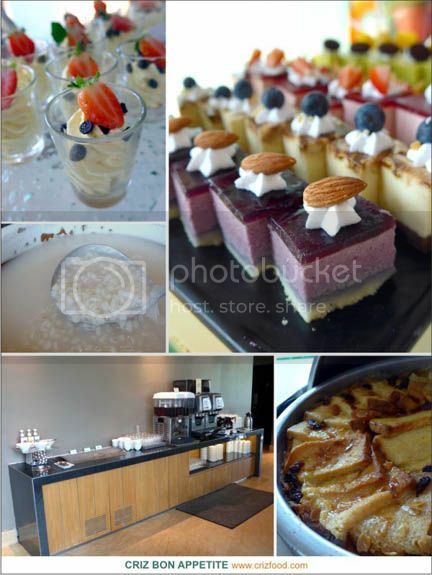 The eve buffet dinner promotion is also included with party pack and a chance to meet the Santa Clause. 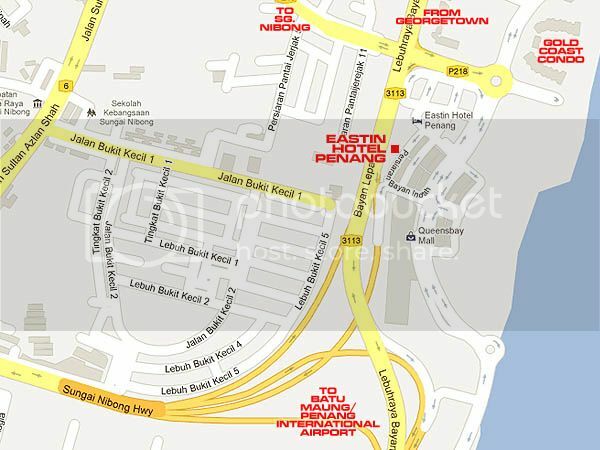 For more information and reservations, contact Eastin Hotel Penang at +604-612 1111 or you can also email at info.pg@eastin.com / log in to the website www.eastin.com. All the prices above are not applicable with any other discounts including credit card discounts. Of course, the highlight of the night would be their Authentic Roasted Turkey with Classic Ingredients and Condiments. Do watch out for the Yorkshire Puddings which would be great with any meat items. Other than the turkey at the carving station, there would be another 8 categories of goodies such cold delicacies, cheese corner, soup, carving, seafood on ice, pastas, western delights, hot delicacies and desserts to make your day merrier. 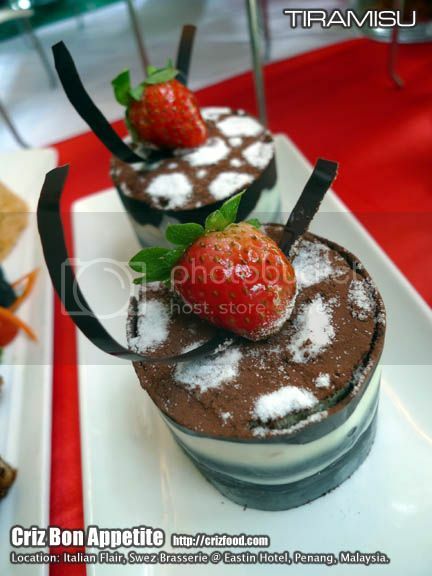 As for Desserts, you would expect to find many modern and traditional festive bakes and pastries such as Chocolate Truffle Cake, Classic Cheese Cake, Christmas Yule Log, Mousse Cake, Christmas Stollen, Assorted French Pastries, Floating Island with Almonds and Caramel, Fresh Fruits Soup with Whipped Cream, Display of Seasonal Fresh Fruits, House Pudding, Christmas Cookies, Eastin Bread Butter Pudding, Chocolate Fountain and more. Swez Brasserie @ Eastin Hotel, Penang, would be having its Ramadhan Peninsula’s Delectable Buffet Dinner 2016 from 7 June until 5 July 2015 (7.00pm-10.00pm). 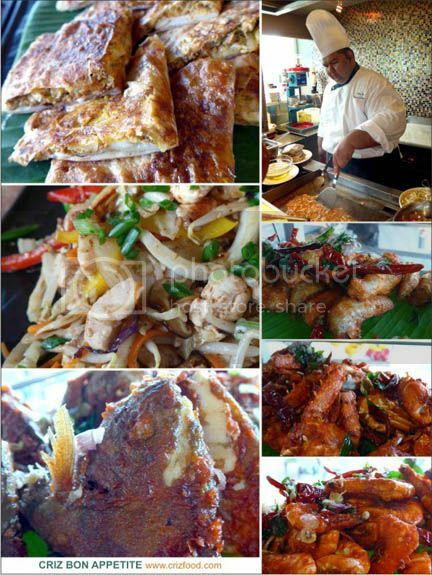 Diners would get to experience various dishes from the different states of the peninsula. The price would be at RM110nett/pax (Adult/Senior Citizens 60 years old and above will get 50% off). Selected cardholders would be charged RM90nett/pax while early birds (pre-booking by 31 May 2016) would be charged RM85nett/pax. Moreover, a convenient surau would also be set up to ease guests to break fast. There would also be a special room package during the holy month for guests to unwind at RM480/night, inclusive of buffet dinner and breakfast for two pax. For restaurant booking, please contact +604-612 1128 or for room booking, please contact +604-612 1111 for more information. Some of the attractive dishes would include the Kambing Golek Beratur Panjang (Roasted Lamb) served with Nasi Briyani Pak Raj, Kampung Melayu Lambuk (spiced up porridge), Sup “Gearbox”, Lemang (bamboo grilled glutinous rice) & Serunding (meat floss), Rendang Daging Tok, various Kerabu & Salad and more delicacies from the buffet spread and action stall. Check out the slide show below for more photos. The dessert section this year was quite abundant with many options for local kuih-muih, Raya cookies and Western cakes. Check out the slide show below for more photos. 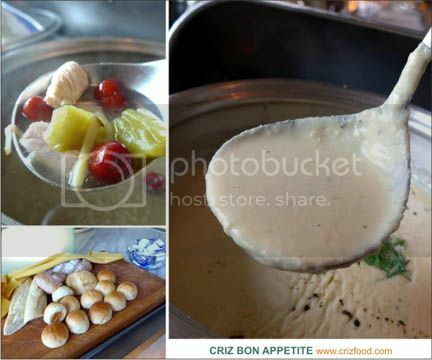 Overall, the Ramadan Buffet Dinner spreads at Swez Brasserie have always been my favorites as I like the kampong-style and family-oriented dishes options. Under the umbrella of The Big Group, Plan B has been around for quite a few years in Malaysia, serving diners with artisan coffee and creative cuisine ranging from salads, sandwiches, pastas, main dishes and a variety of cakes. Recently, the Aussie-meets-New York conceptualized deli has reduced its menu to a smaller selection to stay more focused in delivering a better culinary experience for its diners. We were invited to test out some of their latest spreads from their new menu recently at Plan B @ Queensbay Mall, Penang and it was a totally different approach towards how we look at food. Prices shown are inclusive of 6% GST. There won’t be any additional service charge. We started off the meal with Skin on Fries with Dip (RM9) with a choice of dip. You have options for the sauce such as salted egg, cheese, Singapore Chili, curry, ranch, ice cream, lime mayonnaise or halal guys white sauce. The Kristy’s Krunchy Kale Salad (RM18) was rather unique and it reminded me of how fun my childhood days were. There were crunchy bits of Mamee! Cool right? The salad had finely julienned Kale (which I presumed were Chinese Kale aka kalian as it was rather hard to source for imported Kale), carrots, purple cabbages, some crunchy bits of deep fried noodles, hazelnuts, tossed in peanuts dressing and garnished with toasted sesame seeds. It was so nutritionally good that we had to order another serving. The Buttermilk Fried Chicken (RM33) was also quite unique as the buttermilk batter fried chicken was placed on a waffle and topped with almost coleslaw like salad and served with some tomato ketchup. It was quite tasty except that I hope the kitchen would drain up more of the excess oil on the batter fried chicken. For those who prefer meatless pastas, they do have the Zucchini Spaghetti (RM22). It was Aglio Olio style with added blistered cherry tomatoes, garlic confit, sweet basils, julienned zucchini, garnished with shaves of Parmesan cheese and served with a wedge of lemon. It was indeed a hearty and healthy plate of spaghetti to my liking. We also tried out their Asian Salmon Rice Bowl (RM33). 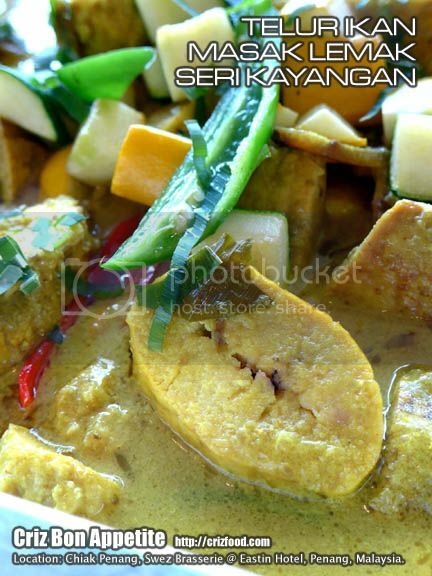 You could also request for an additional poached egg for this dish at RM3. It came with a bowl of steamed rice, topped with grilled salmon, lots of fresh greens, avocado, edamame with a light sprinkles of furikake (Japanese rice garnish with mixed ground fish, sesame seeds, nori, etc) and served with chili soy dressing. As for Desserts, we tried out their Jaffa Cake (RM15), Springfield Donut (RM18) and Black Forest Pavlova (RM18). I personally think that it’s better to consume the desserts with some hot beverages such as coffee or tea as they could be rather heavy and sweet after a heavy meal. As for beverages, we tried out their Elderflower Mint Lemonade (RM12), Passionfruit Iced Tea (RM10), Iced Chocolate (RM10) and Cham Affogato (RM10). The best part on the beverages was that all of them were presented quite uniquely. The Cham Affogato was something real cool too as it had coffee on “teh tarik” ice cream. Overall, I quite like how innovative some of the dishes were at Plan B, especially the Kristy’s Krunchy Kale Salad, which brought back many fond memories during my childhood days. I would love to see what other creative dishes the kitchen could come out with in the near future. 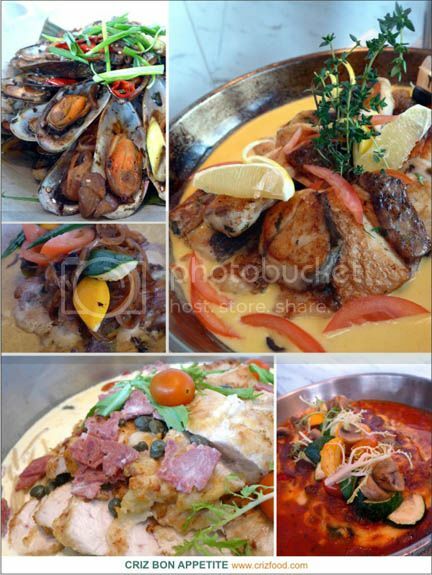 You can also check out their sea facing outlet at Gurney Paragon to try out these dishes. You can view the new menu as below. Do click on the photo for a clearer view. Upon entering the main entrance of Queensbay Mall (Central Zone), turn right and walk towards the North Zone (J.Co, Morganfield, T.G.I. Friday’s, Maybank, etc). Just walk a bit further up pass J.Co Donuts and you can see the deli there on your right. Address: GF-112, 113(A) & 146 (A) Ground Floor, Queensbay Mall, 100 Persiaran Bayan Indah, 11900 Bayan Lepas, Penang, Malaysia. Diners would get the opportunity to dine in Foodcaller (富一碗) @ Queensbay Mall which had relocated from Bukit Mertajam, Penang. Though being at the currect venue for merely few months old, the management had gone through many years of R&D to come out with a menu that would be economical yet tasty for its diners. Located at Level 3 (North Zone) of Queens Street @ Queensbay Mall, Foodcaller promises to bring in exciting arrays of ramen and dumpling for every diner with a twist in adding in local flavors. Since the restaurant is still quite new, all prices would be nett, without GST and service charges. 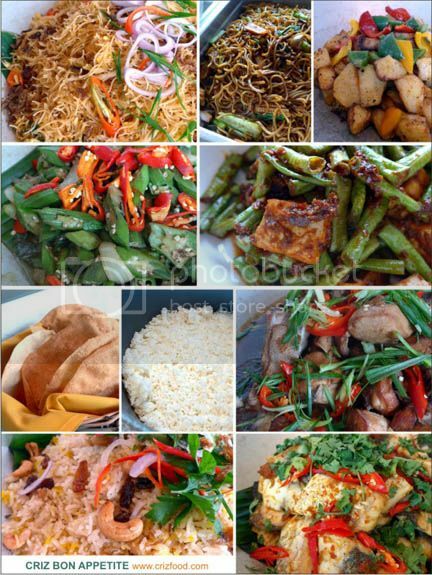 Let us have a look at the variety of dumplings available at Foodcaller. They have the Steamed Dumplings (RM6.70 [3pcs] / RM10.90 [5pcs] / RM19.90 [10pcs]), Salted Eggs Baked Dumplings (RM13.90 [5pcs] / RM25.50 [10pcs]) and Pan-Fried Dumplings (RM7.50 [5pcs] / RM11.50 [10pcs]). Though all the dumplings were nice with juicy bites, my personal favorite was the Salted Eggs Baked Dumplings. Somehow, the slightly crunchy skin plus the juicy filling, combined with the sandy saltiness from the added salted egg yolk attributed to the uniqueness of the dumplings. We were introduced to some of their recommended ramen dishes, starting with their Braised Pork Pickled Dry Ramen (RM16.70), served with a complimentary bowl of soup. I’m impressed with the texture of the ramen noodles which were al dente to my liking. As for the braised pork, the meat pieces were tender with just the right combination of flavors. The addition of the soft center hard-boiled egg was a bonus as the oozy yolk indeed made the ramen creamier to consume. Another of their signature dish was the Japanese Chashu Signature Ramen (RM16.90). Basically, the taste was the same as the Signature Ramen with Homemade Dumplings with the dumplings being replaced with slices of Japanese style chashu (braised rolled pork belly). However, I personally felt that chashu should be braised a bit longer as it did not have the melt-in-the-mouth experience as I had tried elsewhere. Moreover, I also felt that the kitchen should garnish the dish with some blended black sesame oil to pep up this dish further. For Teppanyaki dishes, each main dish would be served with a bowl of hot steaming fragrant rice topped with some minced meat, some stir fried cabbages with dried chilies, an omelette, a bowl of soup. The portions served were rather large and would be great for diners with great appetite. We tried out 3 options such as the Chef Bean Sauce Fish Teppanyaki (RM18.70), Sour Sambal Curry Prawns Teppanyaki (RM17.80) and Garlic Roast Pork Teppanyaki (RM19.80). Though each main dish had its own unique flavors my liking, I would still chose the Sour Sambal Curry Prawns Teppanyaki as my favorite set due to its aromatic yet generously portioned prawns which indeed was an appetite booster. 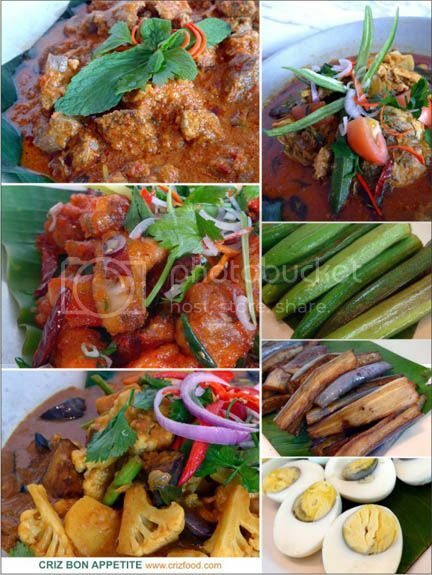 For tomyam lovers, you would be in for a great surprise as Foodcaller has 2 great dishes to tempt your craving. Firstly, we tried out their Tomyam Seafood Fried Ramen (RM18.90) and it impressed all of us as the aromatic yet fragrant flavors of the tomyum indeed seeped into each strain of the ramen and at the moment it was filled with the wok hei (high heat cooking) to my liking. Moreover, it was a heavenly plate of ramen with generous amount of prawns, squids and scallops~ I sure would want to order this dish during my next visit. However, for the Tomyam Grilled Chicken Ramen (RM17.90), it could somewhat be a love-hate relationship for some diners. The broth had almost the Southern Thailand’s style of tomyam which was rich, creamy and yet sweet but only with mild sourness. It could be a bit on the sweeter side for some. One of the latest additions to the menu was the Hot-Stone Noodles Series (Mixed – RM33.20, Sliced Pork – RM23.50, Fresh Scallop – RM26.70 and King Prawns – RM30.80) with various options and add-ons. The hot-stone dish was served with a basket of flat broad noodles (hor fun), garnished with Chinese Kale (kailian). Either you can pour the noodles into the hot-stone bowl or you pour the soup over the noodles. My advice would be the latter as it would prevent the noodles from getting over soggy with the highly heated broth in the bowl. Please note that you have to pour in the soup as soon as the dish has been served on your table as the broth would evaporate quite fast. Additional request for the broth would be chargeable. The richness and sweetness of the broth was something you just can’t enough of as it has been slow simmered for over 10 hours to extract the natural sweetness from the bones. I’ve never seen or heard of Hot-Stone Noodles before and this could well be the only restaurant serving it this way in Malaysia. There are quite a number of hot and cold beverages you could choose from such as those below. Overall, the quality of the dishes served here were quite good, comparing to some of those other eateries within the same complex. Price wise, it might be a bit over average for diners but you can be assured of the quality of the food. However, Foodcaller has many ongoing promotions to help you save up more. Do check out their daily promotions (T&C: for FB & WeChat users only) as well as tea time special (not valid on public holidays). Upon entering the main entrance of Queensbay Mall (Central Zone), turn right and walk towards the North Zone (J.Co, Morganfield, T.G.I. Friday’s, Maybank, etc). Take the escalator to Level 3 and walk towards the Queens Street area. You can see Foodcaller on your right, taking over the former shop lot of Okomen Japanese Restaurant, in between Curry House Coco Ichibanya and Golden Triangle Thai Restaurant. 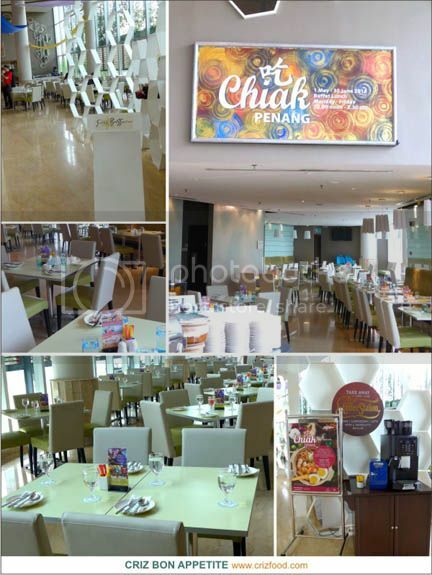 Address: 3F-03A, Queens Street, Level 3, North Zone, Queensbay Mall, 11900 Bayan Lepas, Penang, Malaysia. Let’s start the coming Chinese New Year by having lots of “Lou Sang”, an age-old custom in ancient Chinese tradition and culture, symbolizing “upward” health, wealth, luck and happiness in abundance during each brand new year. This year, Swez Brasserie at Eastin Hotel, Penang, would be offering various dinner packages for your reunions from 6.00pm until 10.30pm on 7-9 February 2016 or even Hi-Tea from 12.00pm until 3.00pm on 8-9 February 2016. It could be a table of feasting with your close associates/friends and family members or it could be fresh seafood spreads with unique dishes buffet. Please take note that for the buffet dinner, advanced booking with full payment before 24 January 2016 would be entitled to a 20% discount. Do check out the posters below for more details. 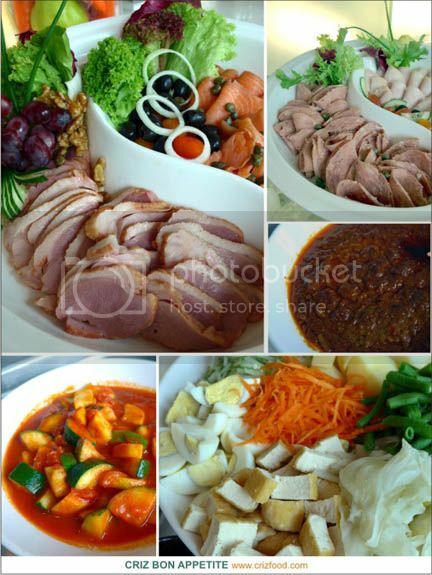 Let’s have a peep at some of dishes to be served for the buffet dinner promotions below. At the Salad Bar & Soup Sections, you would get to try out dishes such as the Fortune Yee Sang with Condiments, Classic Szechuan Hot & Spicy, Fresh Greens with Dressings, Hot Bread Rolls, a Variety of Cheese, Pickles, Mixed Salads, Sushi and Sashimi. The Yee Sang was great with fresh salmon slices and the Szechuan Soup was heavenly pepped up with lots of ingredients. For seafood lovers, you would be impressed with their Seafood on Ice Section where at least 8 Types of Fresh Seafood with Condiments would be served on the day. Of course, the main attraction would be their juicy and succulent Alaskan Crabs. Their Hot Dishes Section would one great area to indulge in many newly concocted dishes such as Curry Leave Thai Sweet Kapar, Romeo Sour Curry Fish, Juliet Coconut Squid, Tandoori Lamb Chop with Cucumber Raita, Pan Fried Fish with Saffron Sauce, Creamy Mix Seafood with Cheese, Angel Hair with Bolognese Sauce, Wok Fried Tiger Prawn with Salted Egg Gravy, Stir-fried Broccoli with Mushroom & Sea Cucumber and Pineapple Fried Rice. Although all the dishes were to my liking, my main preferences would still be the Tandoori Lamb Chop with Cucumber Raita, Angel Hair with Bolognese Sauce and Wok Fried Tiger Prawn with Salted Egg Gravy. 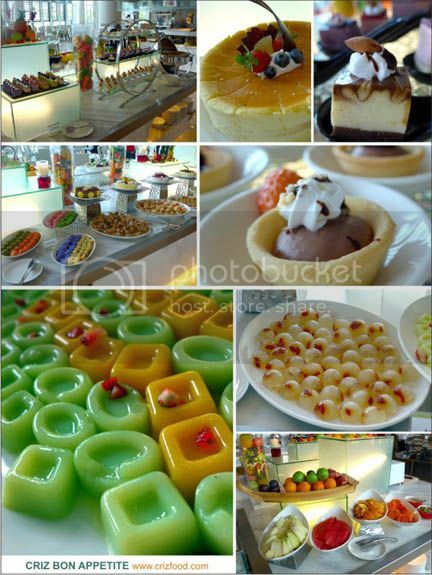 The Dessert Section could be real abundance with selections such as Assorted Fruit Platter, Nyonya/Malay Kuih, Chocolate Fountain, Berries Mizu, Red Velvet, Classic Cheese Cake, Waffle with Condiments, French Pastries, House Pudding, Sweet Roll in the Heart, Jellies and Lovely Banana Chocolate Crumble with Vanilla Sauce. For Yee Sang Takeaway with various toppings, you can check out the poster below. If you missed out the dinners on 7-9 February 2016, you could always check out their other offers such as their “Seafood Esplora Il Mare” Buffet Dinner on all Fridays and Saturdays. 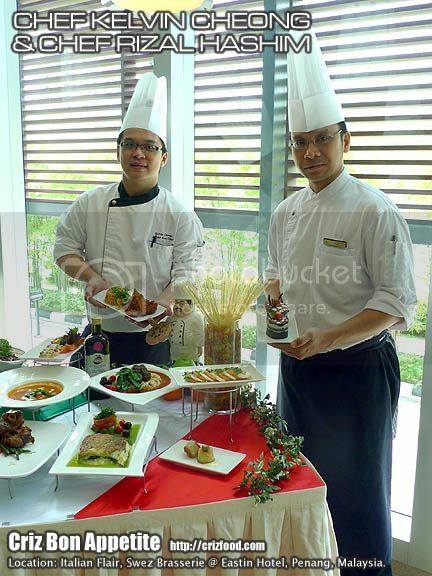 Overall, I do find the buffet spreads under the supervision of the new Executive Sous Chef, Chef Johnno Fong, to be quite extraordinary compared to the buffets I had at the same venue for the past few years. The dishes served indeed did set the whole atmosphere to be in celebrative moods. However, I do find the dessert section lacked of some Chinese influence as most were basically Western and Nyonya/Malay cakes and bakes. They should have come out with something like steamed glutinous rice cakes with grated coconut, lo han guo infused snow fungus with dried longan soup, red beans filled sesame balls, glutinous rice ball in ginger syrup, fish shaped crystal jelly, pineapple tarts, peanuts cookies, fortune cookies and more. 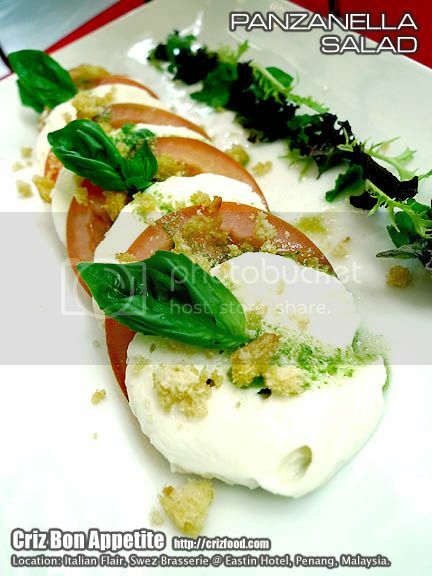 Swez Brasserie @ Eastin Hotel, Penang, for the month of May 2013 (1-31 May 2013) will be having its Italian Flair Promotion to serve you the delectable spread of Italian cuisine from the Land of Michelangelo. This promotion would be under the skillful hands of the Jr. Sous Chef, Chef Kelvin Cheong and Chef de Partie, Chef Rizal bin Hashim. To start off the meal, there would be a few selections of appetizers for you to savor. One of them would be the Panzanella Salad (新鮮番茄乳酪沙拉), a fresh tomato salad with crusty bread and cheese. This Florentine salad which basically would consist of tomatoes and bread is also quite popular during summer in Italy. The version here had added mozarella cheese and sweet basils in some olive oil and vinegrette. It was simply refreshing. The next appetizer was the Assorted Bruschetta (意大利式烤麵包). 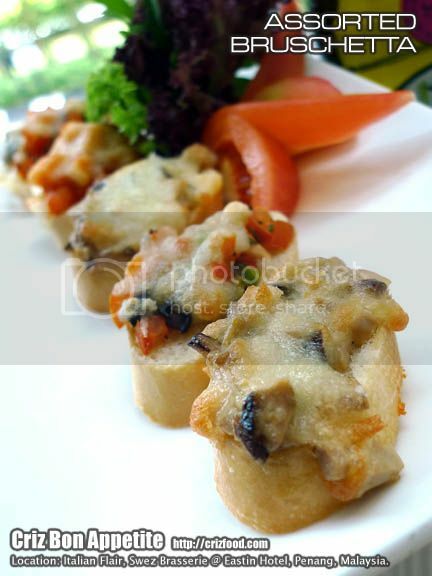 Simple as it was, the bruschettas came in 3 variants such as mushroom, chicken and seafood. Taste wise, they were not bad except I personally felt the baguette slices were a bit too thick for such a small bite size. Luckily, we had some soup to moisten them up. 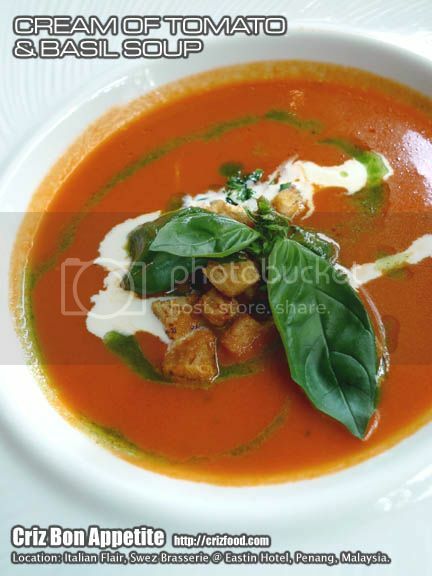 The Cream of Tomato & Basil Soup (番茄香菜奶油濃湯) was awesome. You can practically taste the freshness and sweetness of the tomatoes used. With the some added dashes of basil oil and cream, it was a great bowl of soup. I won’t mind having more croutons in it too. There would be some main dishes presented during the promotion too. 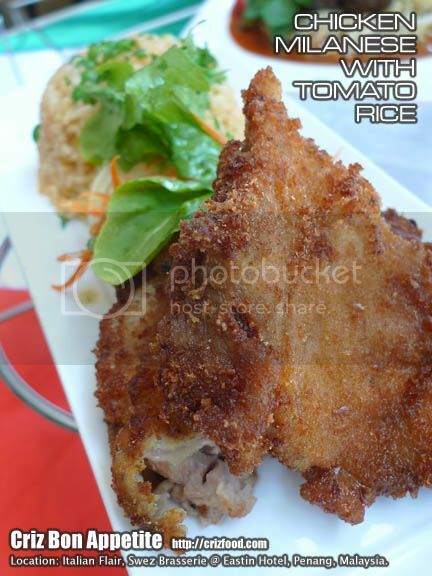 One of the notable ones would be the Chicken Milanese (米蘭式燴雞) which you can have with other starch dishes such as Tomato Rice or with other green salads. The chicken was basically a lightly breaded piece of nicely marinated boneless chicken which would suit just any diner. There would be some gravy served with it as well. 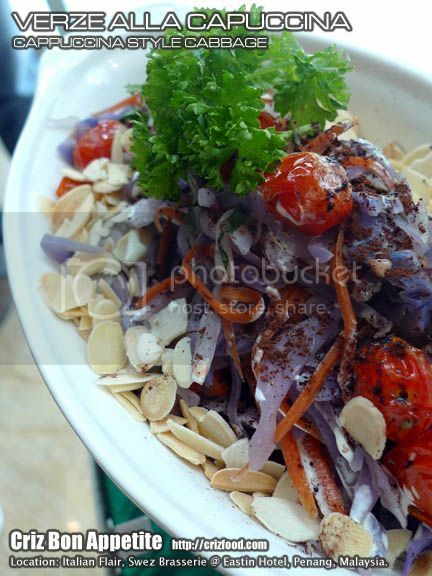 Another of the main dishes would be the Verze alla Capuccina (意大利式燜洋菜), a Capuchin Savoy Cabbage dish which basically had some boiled purple cabbage, carrots and tomatoes tossed in parsley, butter, Parmesan cheese, anchovies, salt, pepper with some toasted almond flakes. Though creamy, this dish was not to my liking as it was overpowered with saltiness. I would prefer to have some fresh greens salad instead. 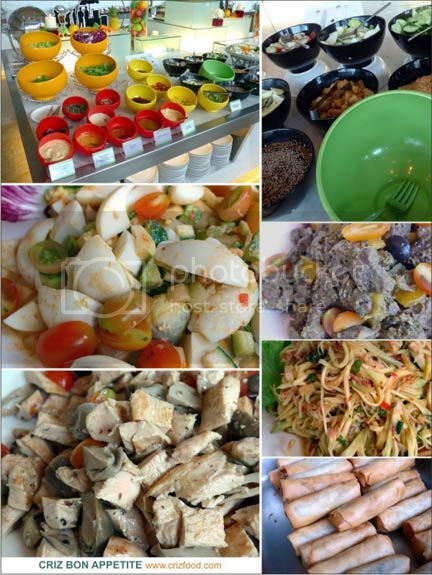 There would also be 3 options of main dishes available during their semi buffet dinners. One of them would be Lasagna al Spinaci (菠菜芝士千層面). 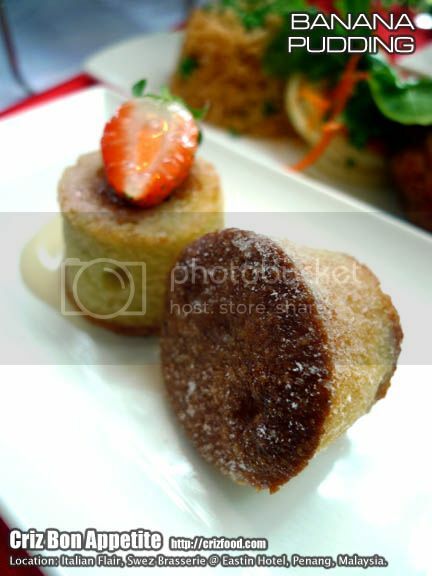 This main course dish would be quite ideal for those who love to have something not so heavy. 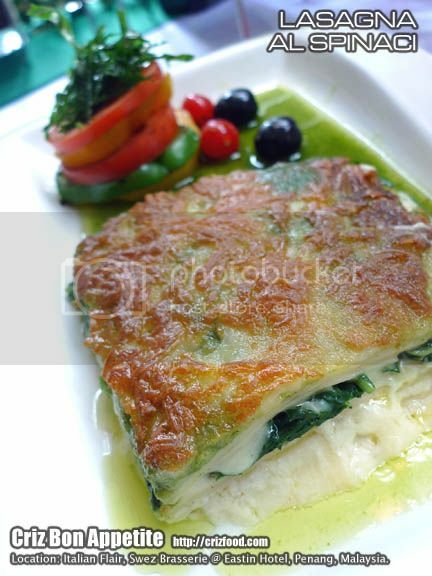 The lasagna sheets had some stuffed boiled spinach in creamy cheesy sauce. Though it was a nice combination, I found the spinach to be rather fibrous for a smooth bite. Either the kitchen should find a younger spinach sprout or the vegetables should be chopped finer to avoid choking any diner. 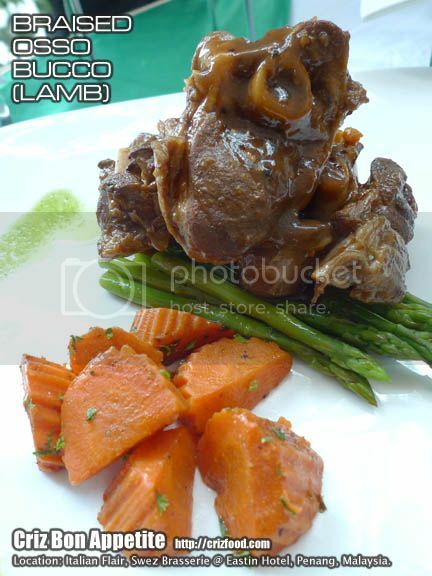 Another option would be the Braised Osso Bucco or you can just call it Italian Braised Lamb (燜燉小羊頬), a Milanese specialty of braised cross-cut veal shanks. Though the meat was braised to the perfect texture and tenderness with just the right usage of herbs, it somehow lacked a specific sweetness – white wine. How I wished the restaurant were to be “non-halal” to be able to apply the usage of alcohol in their dishes. 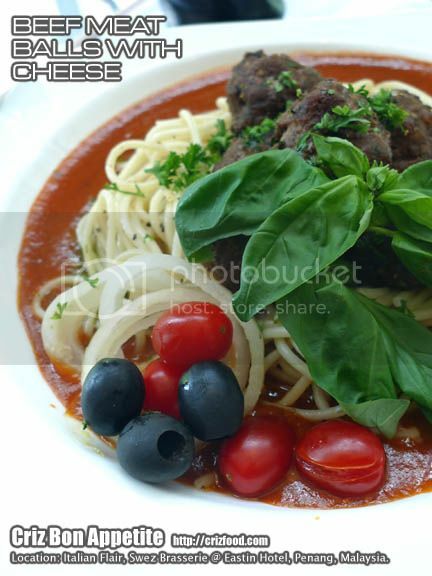 The last option would be the Beef Meat Balls with Cheese (芝士牛肉丸) served with pasta. The meat balls were rather flavorful with just the right amount of herbs and Parmesan cheese used. However, they have to tweak well on the usage of cheese as I personally found the meat balls to be rather salty. Moreover, I prefer my meat balls not to be so tough with the addition of some chopped onions. As for dessert, there would be quite a number of delicious treats. One of the dessert to aim for would be the Tiramisu (提拉米蘇). The non-alcohol version of the cake was still fine but with a rather heavily boosted coffee flavor. I somehow quite like the bitter sweet taste of the whole combination. Another dessert we had was the Banana Pudding (香蕉布丁) served with vanilla sauce. It was not bad with some nice chunks of banana inside. Overall, the taste and flavors of the dishes were still within the acceptable level. The only little thing they would need to monitor is on the usage of salt as some of the dishes were rather heavily salt infused for this round. I do also hope to see more dishes during this coming promotion such as the many kinds of bread, pizza, pasta, rice, seafood as well as cured meat available too. Here’s the summary on the promotion. For MAYBANKARD, Standard Chartered Bank, OCBC Bank, CIMB Bank and CITIBANK card members, you can enjoy 15% discount for the Italian Flair Semi Buffet Dinner (Monday to Thursday) and Weekend Buffet Dinner (Friday to Sunday) from 6.30pm – 10.00pm.